The new school year is right around the corner, today is Friday and this coming Wednesday is opening day. 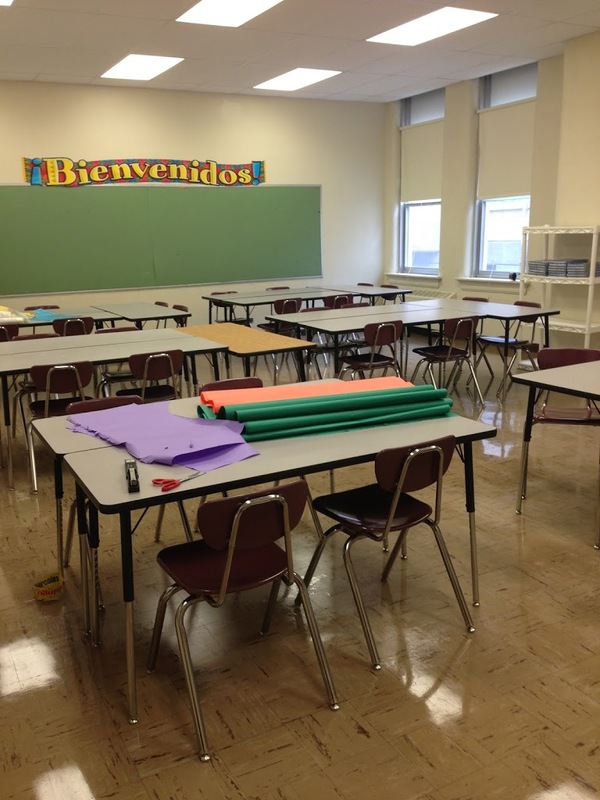 I am thrilled to welcome my new students, introduce them to my learning environment and start the journey. 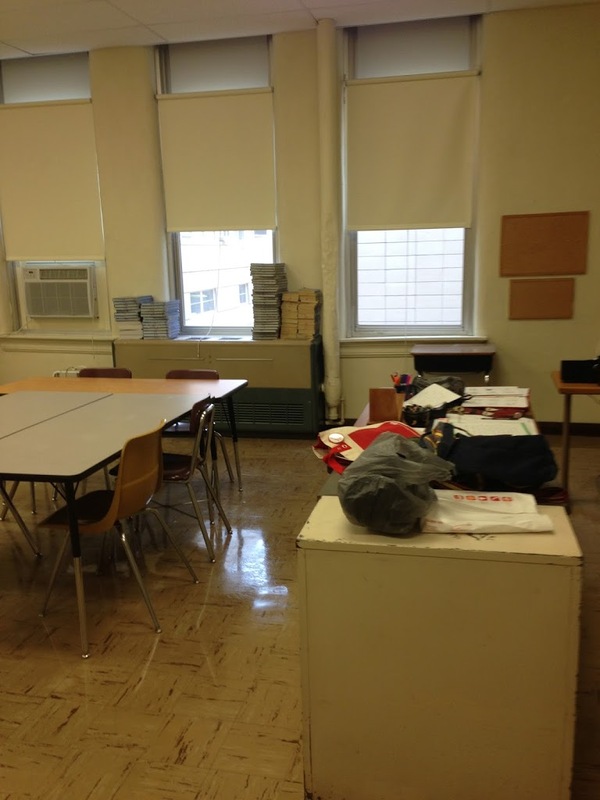 I am working with my space a little differently this year; below are a couple before pictures of my classroom. 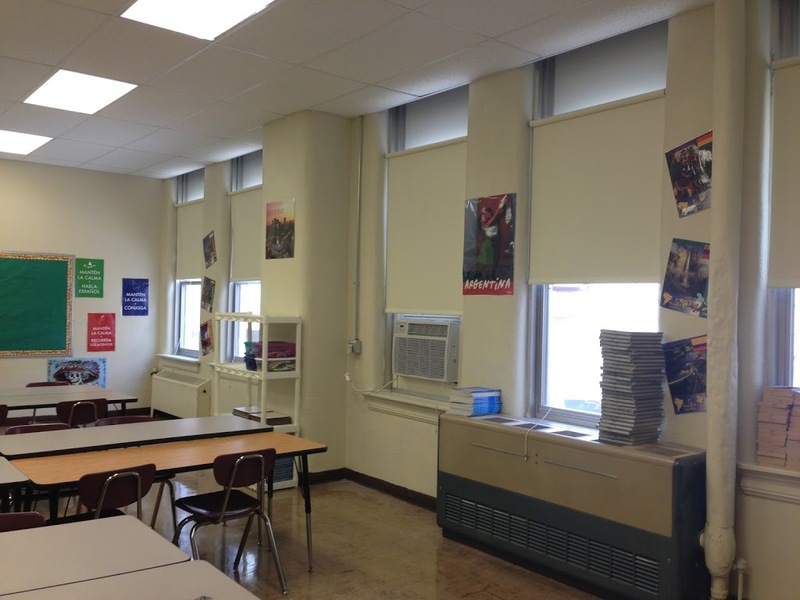 I always love to see the transition from plain walls and boards to a lively space ready to receive students, so this year I decided to take pictures and document a bit. I am so fortunate to have a large room and tables to work with, and I want to make sure I arrange my room carefully for what I have planned. I tend to move things around a lot depending on our needs, but to begin the year I need four groups, so that is my table configuration. 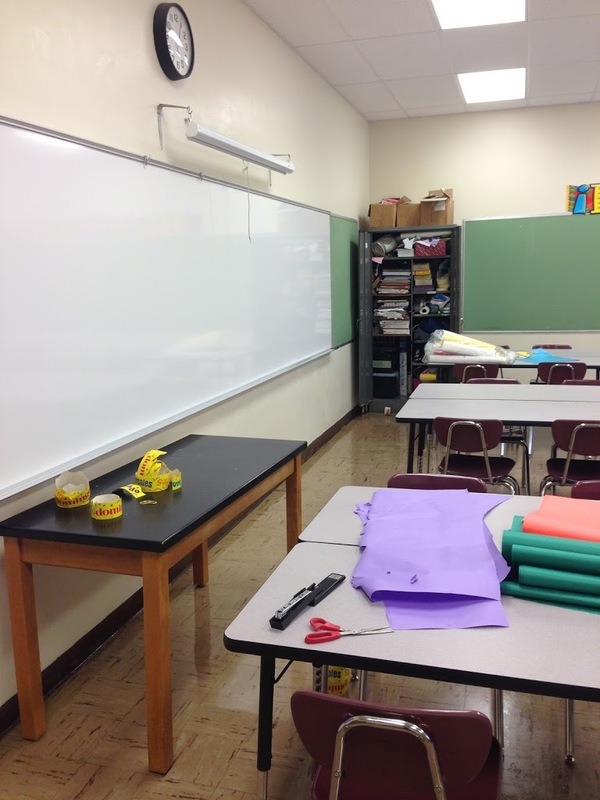 I also wanted to leave a lot of bulletin board space open for my students this year. I moved all my other decorations (posters, etc.) 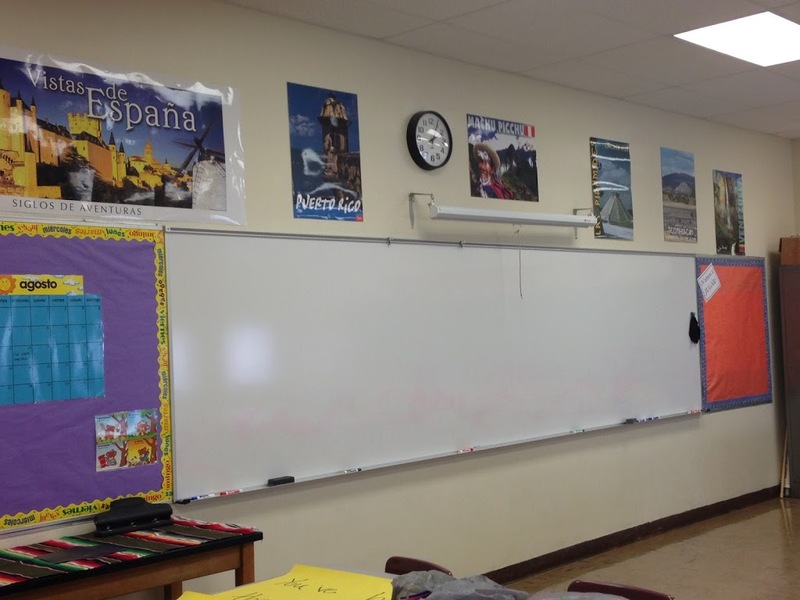 to the walls to leave my largest board for student work and a smaller one for gamification stats. 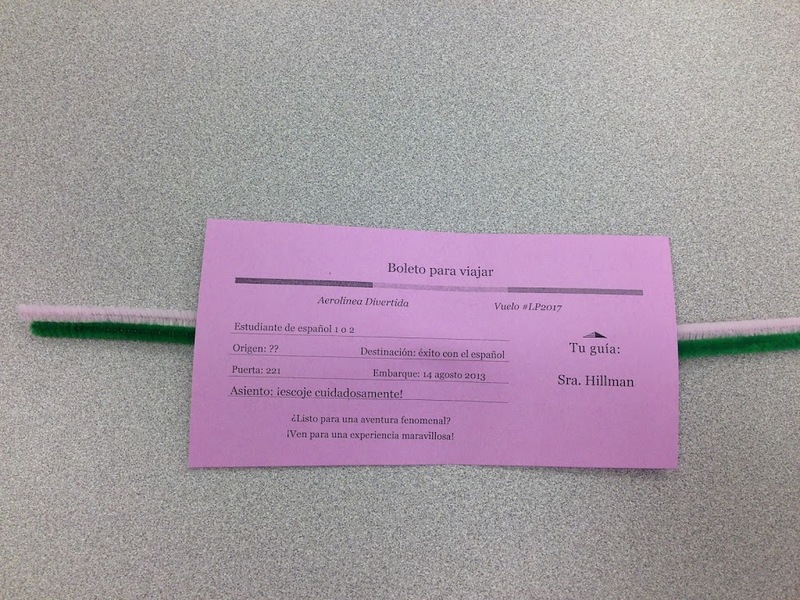 When students arrive, they will get a ticket with two pipe cleaners attached as they walk in the door. The ticket is a glimpse of the adventure they are about to embark upon, and the pipe cleaners will soon let me know a bit more about them. This year will be framed as one huge journey, with stops at each theme (unit), but the ultimate destination will be learning. We will take different paths to the destination, but the expectation is that all will arrive in the end. The pipe cleaners are mimicked off of Dave Burgess’ idea in his book Teach Like a Pirate, he uses play-doh the first day to have the kids mold an item that tells him something about themselves. I will be doing the same thing with less messy pipe cleaners. This gets all my learners engaged on the first day and helps me get to know them at the same time. There is visual, auditory, and kinesthetic input, and a fun atmosphere on top of it all. I look forward to seeing how the first day plays out and I am sure I will be blogging at some point during the first week to share my experiences. 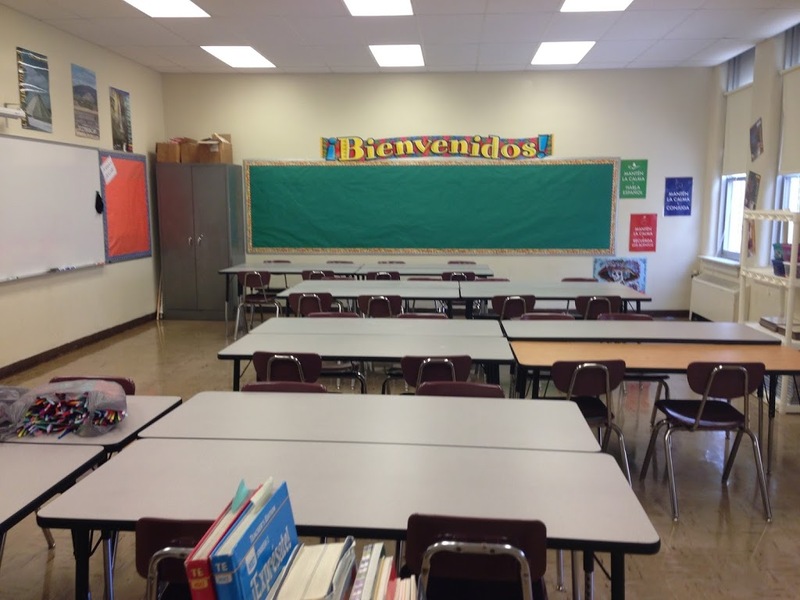 Have you set up your learning environment yet? Share and we will all benefit!